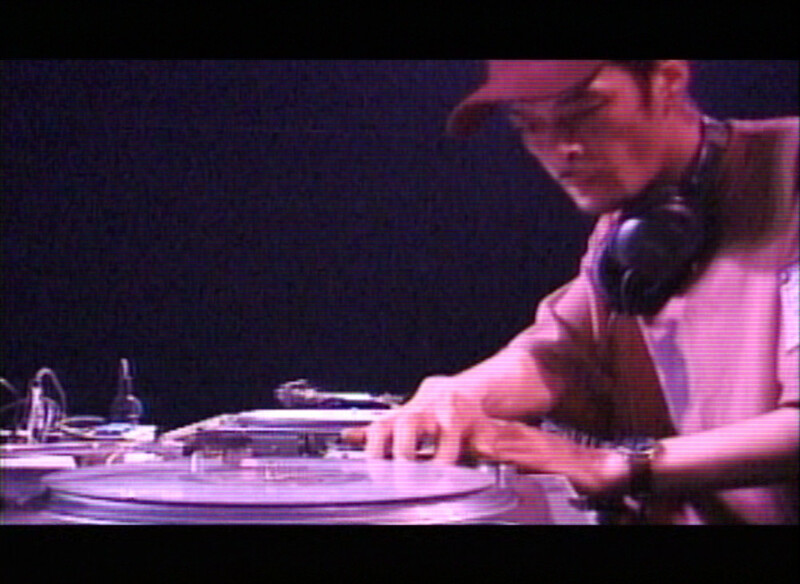 History of DJ Krush is a 3 DVD set put out by Sony Japan in 2007. 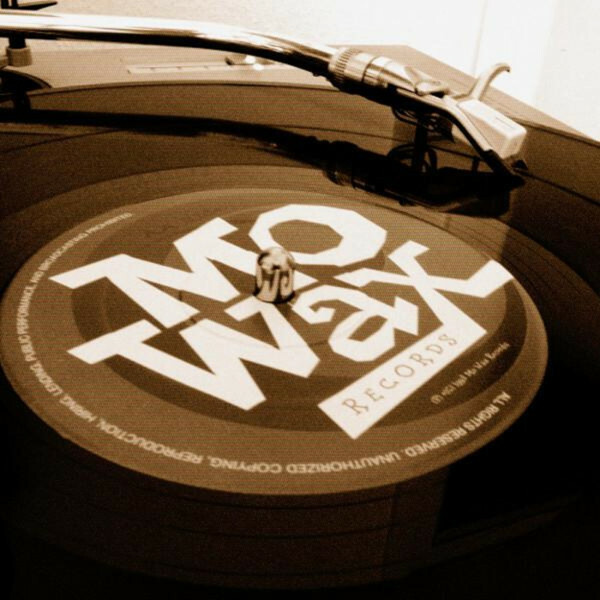 The first DVD is a film initially released in 1996, documenting the first European tour of Krush with Mo’ Wax, as well as the making of Milight in the studio. The second DVD contains a new documentary about Krush touring worldwide, testimonials with a lot of artists he collaborated with, and more interesting stuff. I’ve uploaded the first and second DVDs in full, at the highest quality possible for your viewing pleasure. Below the following videos you’ll find the words by Noriko Asano, Krush’s friend and producer, that he has written for the leaflet of the box set. After watching this, you may be in the best mood to listen to DJ Krush & DJ Shadow live at Mo’ Wax Headz tour in 1994! It was 1992 when KRUSH POSSE disbanded. KRUSH, who had constantly tried to stay more positive and strong than anyone else, dropped his head down, and said, “I don’t know if I have the ability to go on solo …” From those words, our true challenge to the world began. Back then, most record companies in Japan did not have much interest in KRUSH’s music; they would just say, “Nice, but this type of music won’t sell.” My personal opinion was that if they really thought the music was good, it would be the record company’s job to think of a way to sell such music, but none of them took me seriously. No light of hope; the reality of responsibility in feeding his; the limited amount of time we had. …but his true love to the music and his strong will to continue making music was too obvious to be missed from the words he said. I had long talk with KRUSH. We would allow us one year.. Within this period, we would challenge the world instead of Japan. If nothing happened after a year, KRUSH would have to give up pursuing music as his profession. We had no promises, but we just had to do it. We then double-checked on what each of us had to do. KRUSH would come to our office once a week to drop off a 120-minute cassette full of demo tracks, and would say, “Made some new beats; take a listen,” which gave further pushes on my back to our challenge. Seeing seriousness and real enthusiasm in an artist like that, we management staffs could only try harder. I thought real hard to put together a plan when and where would be most effective to promote his music. The staff who had worked for KRUSH with me since then gave out copies of KRUSH’s demos to every single artist & producer she had access to. I’ve lost count of how many demos she had given out. I still feel that without her efforts, KRUSH wouldn’t have reached to his current position. And all of our efforts had finally led us to see a stream of light. We started to hear that a buzz about KRUSH’s music arose in the distant city of London. Three of KRUSH’s demo cassettes ranked in the Office Top 10 Chart of the Straight No Chaser, a British jazz magazine whose editor-in-chief was Paul Bradshaw, who had introduced jazz into the underground club scene and had created the Acid Jazz movement, and had been supported by young producers around the globe. Soon after that, we also heard through words of mouth that label owners of Mo’Wax and Talkin’ Loud loved the 12inch of the “TVO” film soundtrack remixes that KRUSH had done. At first, we weren’t able to realize that such things were happening in such a distant city. But something was gradually changing beyond the scope of our awareness. It was when KRUSH was struggling in making more demos and working daytime jobs that we suddenly received remix offers from worldly-acclaimed jazz guitarist Ronny Jordan and Australian band D.I.G. However, KRUSH was given only one week to produce the music. He had to finish the masters for ten remixes in that period of time. We thought that such thing would be impossible, but back then, KRUSH wanted to make music so badly. He couldn’t miss any single chance he saw. So he finished the ten tracks in one week without getting any sleep, and created the uncompromising “KRUSH sound.” KRUSH put in the best of his abilities, which stemmed out of his strong thoughts of wanting as many people as possible to hear his music, and the desire to continue pursuingit. And finally came the moment of worldwide debut of DJ KRUSH. His remixes of Ronny Jordan tracks were put together into an EP to be distributed throughout the world, and received high acclaim by many critics. DJ KRUSH’s name spread instantly throughout the globe. And at that point, KRUSH cut off the retreat with his own hands to really concentrate on his music. 1994 was the beginning of KRUSH’s full-fledged challenge to the world. “London Jazz Festival.” It was his first international appearance – at a showcase presented and organized by Straight No Chaser magazine. Other members on the roster included The Roots, MC Solaar, Bjork, Palmskin Productions, and cream of other new talents around the world. First experience abroad; language barriers… KRUSH must have felt some huge hope and anxiety at the same time. He was not asked to perform a DJ play but a session with live musicians. And rappers were to enter the session one after the other. Session mates came up to KRUSH one after another as well. Everyone knew about KRUSH. You could see how much attention KRUSH was receiving. It was the first time for us to actually feel how much KRUSH was accepted overseas. On the show day, the tickets were sold out. Venue floor was packed with hot excitement. KRUSH’s very first performance outside of Japan was filled with tense nervousness, but the session finished in tremendous applause and success. I still remember the how relieved KRUSH looked as he stepped off-stage. Following his first show overseas, KRUSH signed a deal with Mo’Wax Label and released his album Strictly Turntablized. An international tour commenced as well. As KRUSH was booked and toured as a member of Mo’Wax; he toured around Europe by car, doing shows every night along with his international label mates. The label tour was real tight in schedule; at times, they traveled around UK for 10 days and were able to sleep at the hotel for only 2 nights. Show fees were unbelievably low as well. But KRUSH knew that in order to get out of such situation, he needed to constantly perform his best set, satisfy everyone who came to see the show, and step up to the next level. The oversea audiences were critical and straightforward. No matter how famous you were, if the performance they see were no good, they started booing. So each and every show had to be the best. And they still are for KRUSH. KRUSH has maintained such a stance to this day. I think that there was a big change in KRUSH when he began to tour overseas alone, without the flag of the Mo’Wax label. The heaviness of his alias “DJ KRUSH;” number of tours that increased year by year; daily travels to different countries and language barriers. In addition to them, KRUSH, who basically prefers Japanese food, had to live on foreign cuisine for every meal, which was pretty difficult for him. At the end of each tour, KRUSH would become exhausted, body and soul. But he never refused to play overseas. That was because KRUSH knew that he was able to achieve and learn a lot from the artists he met overseas, inspire each other, acknowledge where he were at that point, and find the potential to move on. There are still tons of artists with amazing talents who are still unknown around the globe. There are still so many artists he has to outdo. That is why he constantly sharpens all his senses, put in his all at all times, and keeps moving forward, as opposed to becoming “a frog in a well that doesn’t know the ocean.” Moreover, no matter how tight and harsh a tour is, there are fans waiting for him. It is no exaggeration to say that such fans have given huge inspiration on KRUSH to become what he is right now. When I hear the roaring of the audience as KRUSH steps up on stage, I get goose bumps as if I were the one who is receiving such welcome. And at such moments, I really feel glad that I teamed up with KRUSH. KRUSH has released eight solo albums and four project albums, we have created a total of twelve albums to date. I have various memories in each album, both good and bad. …Either way, at the end of each album, they only became good experiences for our own good. Even so, correspondences and negotiations with overseas, the so-called “contract society,” within limited time and budget are always a great amount of work. It becomes especially a nightmare when it comes to solo album production, not only for KRUSH himself but for all of us staffs. In KRUSH’s case, the rough outline of his yearly plans is scheduled in the previous year. Thus KRUSH is well aware of the period he needs to go into the studio to record his album. Approximately two months prior to the recording period, KRUSH and I get together to finalize the album concept, and put together a list of featuring guests. From there, KRUSH begins with his pre-production at home. We staffs start making offers to the artists on the list, and book studios. Situations change constantly; everything is unpredictable. Even after we sign agreements, you would never now what would happen until the actual recording sessions end. Any change in plan would affect the entire album. KRUSH’s pre-production also heavily depends on how many artists on our list would be available. Fortunately a lot of the guests on KRUSH’s albums were very courteous, positive, and really looked forward to be in the studio together, but there were also times where we had to wait for the guest for hours in the studio, and some tried to make additional terms and conditions to the agreement on the day of the session through a lawyer. We were once asked for a fee of US$100,000 for a track. Apparently, we took back our offer for that… So many things happen during album productions. In such circumstances, no matter what happens, KRUSH has to constantly keep up his vibe and proceed with his recording sessions. I think that recording production is, in a way, a process of scraping parts of artist’s own body. Those are the moments to face one’s true self; the process of spewing out all the ideas, experiences and techniques piled up within. Instead of meeting trends, he constantly reads what are beyond and what are to come, and places the presence of DJ KRUSH. He aims for a definitive sound of his own so that when journalists from around the world ask him “how would you categorize your music?” he would be able to say “DJ KRUSH” with confidence. And he is constantly aiming for sounds that would transcend time. The concentration KRUSH builds up right before he goes into the studio for recording sessions is extraordinary. Calmly, he devotes total attention to the music. KRUSH says that it is a way to show his respect to the featured guests; a way he has cultivated throughout the past 13 years. The recording session for MEISO album took place in NY, which turned out to be the first visit to the US for KRUSH, who had only been to European countries until then. For KRUSH, who grew up on the soil of hiphop until he turned solo, the US might have been “the holy land” in a way. Back then, hiphop was not a global scene yet; it was still one of the underground scenes in Japan. Strictly talking within the broad genre of “club music,” Europe was creating the cutting-edge sounds, followed by Japan. However, when it came to hiphop, the US was dominating the scene with its rich layers of rappers and the whole power of the music as well as its culture. Even in such situation, I personally wasn’t worried a bit; I even believed “KRUSH could do it! !” even though I later found out that that was not the case for KRUSH. On MEISO, artists such as The Roots and DJ Shadow that KRUSH had collaborated live before agreed to collaborate and came over to the studio. A lot of US rappers finish their lyrics in the studio. I am sure all of them have ideas and structures in their minds before going into the studio, especially since we always tell them the album concept in advance, however, they would not start writing them down on the paper until they come to the studio. They play the basic track by KRUSH over and over again they concentrate and write down their lyrics. Seeing them creating great lyrics and finishing off recording session within the given amount of time, I felt strong power and abilities backed up by past experiences. Black Thought and Malik B of The Roots were such people as well. While they were writing their lyrics, KRUSH was watching them speachlessly. I wonder what thoughts were running in KRUSH’s mind during that whole time… Everything went as planned. And finally came the session date with C.L. Smooth. The session was to begin at 1pm. The tense feeling within KRUSH was extraordinarily high. For KRUSH, C.L. was one of the rappers he had loved, and after all the years of hiphop he had done until then, he was finally able to collaborate with C.L. in the homeland of hiphop. KRUSH reached the studio a little earlier than scheduled, and checked his backing track over and over again. There was no cozy atmosphere like he usually had in the studio… But C.L. did not show up in time, and we waited in the studio for hours… No calls from him either. We tried to reach him, but C.L. had just ended his partnership with Pete Rock and had no manager at that time. The only hope was his beeper – not everyone had mobiles or cell phones back in those days. Ken the engineer began telling us that most US rappers would not come into the studio on time, and some decides not to record at all after waiting for half a day… KRUSH freaked out. I could see his anxiety almost reaching its max. We tried whatever we could to get through to C.L after that, all we could do was to wait for C.L. And finally, at 5pm, the studio phone rang. It was from a friend of C L.’s. He relayed a message from C.L. that he was on his way. Massive relief filled the whole room, sweeping off the dense atmosphere we had until then. We never thought that we had to wait another 4 hours from there though… It was way past 9pm when C.L. finally showed up at the studio, but I felt a great amount of gratuity that he did turn up. After all, he was one of the rappers KRUSH admired most. C.L. came into the studio with lots of young rappers and friends. The minute he came in, the whole atmosphere of the studio changed. He came in like “Yo!” in that his signature, cool manner. Looking back, it is pretty funny, but to be honest, we were a bit astounded by all those well-built African-Americans. As soon as he found KRUSH, C.L. said, “So sorry I’m late.” And he quickly asked Ken to play the track, read the album concept as he sat on the sofa, and started writing his lyrics. I thought, “What!? He’s not done with his lyrics! ?” But C.L. wrote his lyrics in incredible power of concentration, and finished it in about an hour. As soon as he finished writing, he went into the vocal booth and put on the headphones. Finally came the moment we had all awaited for. KRUSH’s track started, and C.L. was on the mic. Amazing!! KRUSH sparkled his eyes saying, “This is C L., for real! !” The rapper he had been admiring was placing rhymes on his track. Lots of things happened on the way until we reached this point, but it was one of the moments we felt rewarded for all the efforts we made. C.L.’s session finished in a snap. KRUSH seemed so happy when C.L. told him that his beat was really cool. As we saw C.L. off, KRUSH said, “Wow, I’m so tired,” but his face did not look as such at all; he was in full smile and filled with confidence. Twelve years have passed since MEISO album. Following that album, KRUSH had collaborated with countless number of artists, creating countless number of works. Various thoughts have been put in to each and every one of them as they were delivered to people around the world. I was involved in most of those works, and I truly feel glad I have chosen this path of life. The fact that I had the chance to meet an artist called DJ KRUSH – of course, things did not always go nice and smooth; we argued a lot as well. And I ought to aim for an even higher ground, to be able to deliver the timeless sound KRUSH creates out to the world. Sixteen years have passed since I first met KRUSH. Both KRUSH and I started out on the edge of the streets of Japan back in our teens. We only have ourselves to blame, but we were always talked behind our backs. We both started from minus. Once you are labeled as bad, it is not easy to climb and move forward. That was why I decided to aim for the high with KRUSH. From the minute a person is born to this world, he or she is walking towards his or her death. What you could leave behind your lifetime is totally up to that person We ought to keep living the best we could for the rest of our lives. And we both hope that you keep your eyes on us. We have been helped by so many people throughout the path we came. All the artists we have worked with and their managements, show promoters, journalists, record company representatives, and all the fans around the globe. We would like to give our most sincere and cordial gratitude to all of them. Special thanks go to Paul Bradshaw of Straight No Chaser, for giving KRUSH the last but the biggest chance to be where he is, Alex Hardee who worked as KRUSH’s European tour agent; KRUSH’s US tour agent Steve Goodgold; Toshihiko Miyoshi at HAL Studio who constantly and strongly supported KRUSH sounds; all staffs at Sony Records; Toshihiko Morosawa who has filmed KRUSH since the early stage of his career; graphic designer Michiharu Yasufuku; as well as lots of friends around us… and to Mami Ikeda and all the Es.U.Es staffs who have put in so much effort no matter how difficult the situations were. Last but not least, to Kumi, Erika and Kotone for giving KRUSH the peace at home… Thank you to all, and let’s keep up our strong support for KRUSH! !